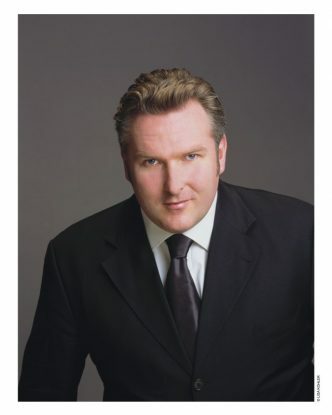 Heldentenor Simon O’Neill (WTO’s 2017 Filene Artist in Residence) tells us about his summer at Wolf Trap and how it launched him on his fabulous Wagnerian path! 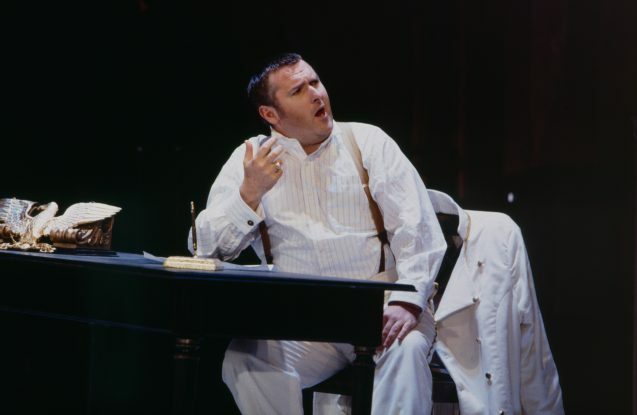 While O’Neill was a Filene Young Artist, he made two critical connections that articulated the beginning of his international heldentenor career. That summer he had the chance to coach with Thomas Lausmann, then a member of WTO’s music staff. Lausmann, a native German, is now Head of Music at the Vienna State Opera. He and O’Neill worked together at Wolf Trap to lay the foundation for his Wagner roles. Wolf Trap Opera’s 2003 aria concert included in its audience one of the world’s greatest heldenbaritones, Thomas Stewart, and his soprano superstar wife, Evelyn Lear. Stewart and Lear were honorary grandparents of each year’s class of Filene Young Artists, and were wonderful friends and mentors during the years they lived in suburban Maryland. During that concert, Stewart’s ears pricked up when he heard true Wagnerian potential in a tenor named Simon O’Neill, and he took a keen interest in the young man. O’Neill and Lausmann traveled to Bethesda to sing for Stewart at his home, and the veteran baritone became an important guiding force for the young singer. That summer O’Neill learned Siegmund’s aria “Ein Schwert verhiess mir der Vater” from Wagner’s Die Walküre. So, a few months later, when the audition panel at the Met asked if he had any Wagner, he was able to proudly and enthusiastically answer in the affirmative. That small role in The Magic Flute went to another tenor. But shortly afterward, O’Neill got the call that changed his life: “Mr. O’Neill, we would like you to understudy Plácido Domingo in the Met’s production of Die Walküre.” Domingo never had to withdraw from a performance during the time that O’Neill was his understudy, but the young tenor got in plenty of singing as a cover in high-level rehearsals. That experience paid off a few years later when the Met tapped him for his own run of Siegmunds in their 2008 production of Die Walküre.